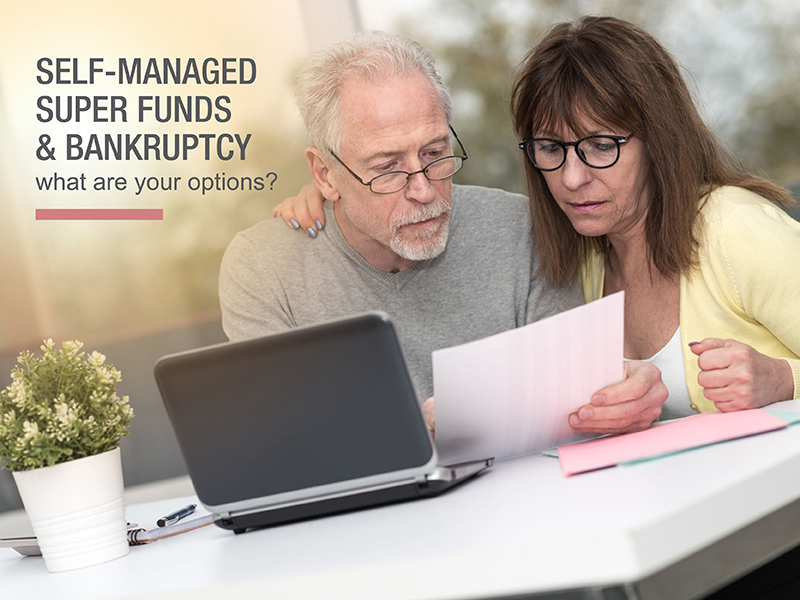 If you run a self-managed super fund (SMSF) and are facing bankruptcy, how does that complicate matters? What are your obligations and what are your options? When someone goes bankrupt, their bankruptcy trustee can recover or sell their assets which are divisible property. The term divisible property is defined in the Bankruptcy Act. A bankrupt’s superannuation is not divisible property in bankruptcy and is not available to a bankruptcy trustee. The contributions were made to defeat creditors or at a time the bankrupt was insolvent. There are special rules that relate to SMSFs and bankruptcy. These rules apply whether a bankrupt is the sole member or one of a number of members of a SMSF. A bankrupt is automatically deemed to be a disqualified person under superannuation legislation when they become bankrupt. A disqualified person must not act as trustee of a SMSF or act as a director of a corporate trustee of a SMSF. They must also immediately inform the ATO that they have become a disqualified person. Given that, in order to qualify as a SMSF, each member of the fund must be either a trustee of the SMSF or a director of a corporate trustee, once a person becomes bankrupt they cannot have a SMSF. However, there is a six-month grace period for the SMSF to deal with this issue and make alternate arrangements. Where assets held in the SMSF are liquid, such as shares or cash at bank, this ordinarily does not cause a problem as the funds can be transferred (rolled over) into another superannuation fund that is not a SMSF, i.e. a public fund. Members of the fund don’t wish to sell because they think the property is a good investment. Where the members of a SMFS are unable or unwilling to sell assets of the SMFS and/or roll over super into a public superannuation fund, they are able to appoint a small APRA fund as the fund trustee. A small APRA fund allows members to run the investment along similar lines to a SMSF but the trustee role is performed by a specialist trustee company regulated by APRA. There are costs associated with this which need to be considered when deciding what course of action to take. We administer a number of bankrupt estates where the bankrupts have been members of SMSFs and have (along with other members) appointed a small APRA fund to administer their SMSFs for the period of the bankruptcies. If you’re facing bankruptcy and have an SMSF, we may be able to assist you so please get in contact with us for a free, no obligation discussion.